Founded in 1972, St. John's-Kilmarnock School (SJK) is a leading Canadian co-educational, independent day school and hosts a number of international students. The School offers an exemplary academic program that spans Junior Kindergarten to Grade 12. As a community, SJK reflects the larger Canadian mosaic embracing all faiths and cultures. As a diverse family, School members share the ideals of mutual respect and dedication to excellence. Teachers work with students and parents on a direct and personal basis and are committed to the healthy development of each individual student both academically and socially. SJK is situated on a 36-acre campus in the heart of Canada's Technology Triangle nestled among the surrounding cities of Kitchener, Waterloo, Guelph and Cambridge. Bus transportation for students is available from Kitchener, Guelph, Waterloo, Cambridge, Erin, Rockwood, Campbellville and Moffat. 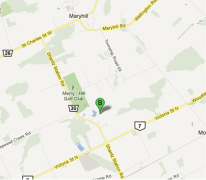 SJK is located off Highway #7 and is a 45 minute drive west of Toronto.